The highest recorded permit approval rate happened during the start of the county’s oil operations in 1990 when more than 200 permits were approved. In the recent years, the county experience a rapid decline in permit approvals with the number not even reaching approvals a year. This year alone, of the 45 permits filed, only 19 were approved. These were filed by companies such as the Apache Corporation; Anadarko E&P Onshore LLC; Williams, Clayton Energy, Inc,; and Halcon Operating Co., Inc. 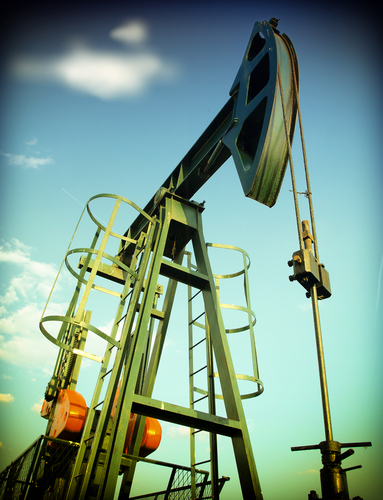 In 1993, the county listed its highest production at 6,612,075 barrels of oil for that year alone. However, production has taken a downward turn in the county and it has never reached the same amount in terms of production ever since. In fact, for this year, the production has been recorded at its worst level in the county’s history. Just around 1,322,415 barrels of oil were produced for this year. 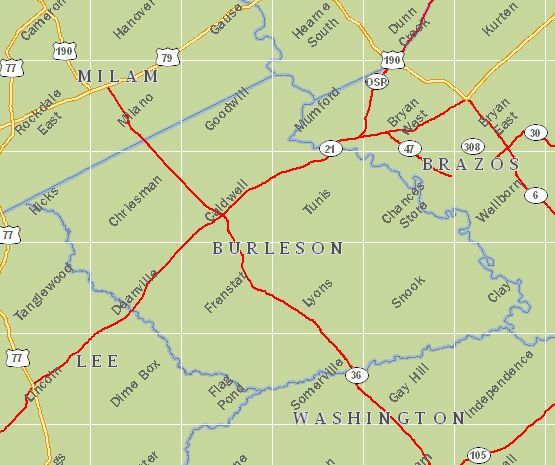 Since the start of its operations, some 719 operators have gone into Burleson County’s territory. The top leases in the county include the Ayers-Jackson Unit Oil Lease #025690; Bravenec Oil Lease #026201; Dayton Oil Lease #026402; Fillippone, Marion J. Fee Oil Lease #012060; and Graham, Lois –A- Oil Lease #014783. Permit approvals have occurred in an erratic rate in Aransas County. It experienced its high in 1994 when more than 30 permits were approved. At present, it is experiencing its lowest point with only 1 approval. This same rate also occurred in 2012. Of the 5 permits filed this year, only 1 by the Hilcorp Energy Company was approved. Other companies that operate in the area are T-C Oil Company, Wallis Energy, Inc., and Genesis Producing Company, L.P. The county experienced its record high in the production of oil when it produced more than 362,925 barrels of oil in 1994 alone. However, since then, a down ward cycle has emerged in the county. As of last count, some 314 operators have gone into the county’s territory. Top oil leases in the county include Copano Bay State Oil Leases #0122391 and #013557; Lone Wolf Unit Oil Lease #013833; St. Charles Co. Gas Lease #013798, and State Tract 113 Oil Lease #013798. 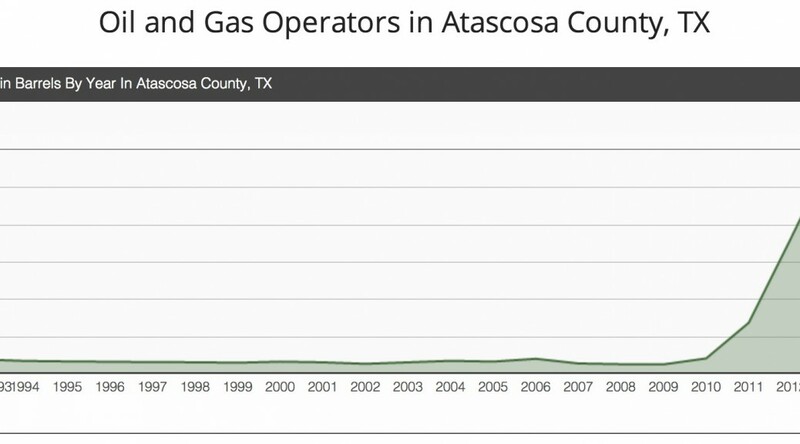 Permit approval in Atascosa County spiked in 2012 when more than 250 permits were approved. However in 2014, no permits were approved. Most of the permits were filed by EOG Resources, Inc. and Marathon Oil EF LLC. Oil production also spiked in recent years in the county. Oil production in the county started in the year 2010. Production in 2012 peaked at over 11,526,625 barrels of oil for that year alone. In its entire history of operations, 966 operators have gone into its territory. The top leases in the county include Countiss Oil Lease #015787, Emma Tartt Oil Lease #016032, Esse-Smith Ranch Unit A Oil Lease #015650, and Esse-Smith Ranch Unit B Oil Lease #015670. 013985 ALLEN & SHUMATE, INC.
013770 ALLEN, HERBERT C. JR.
016543 AM-TEX OIL & GAS, INC.
016560 AMAL OIL CO, INC.
018026 AMERICAN ENERGY DEVELOPMENT CO.
020569 ANAQUA OIL & GAS, INC.
024444 ANDREWS & CORKRAN, L.L.C. 028775 ARCANA OPERATING CO., INC. 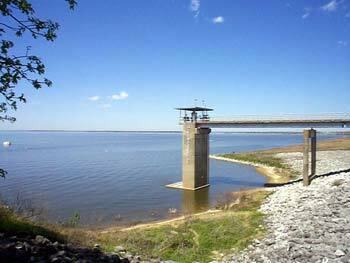 The peak of Brazos County’s permit approval occurred in 1992 when over 225 permits were approved for that year alone. Only the spike in permit approvals that occurred in 2013 has come close to this record. For last year, over 135 permits were approved. For this year, 45 permits were approved. More than 20 permits were turned down including those filed by the Woodbine Acquisition LLC; Crimson Energy Ptners III, L.L.C. ; Apache Corporation; and Halcon Operating Co.,Inc. As for oil production, it peaked in 1993 when the county produced more than 7,203,425 barrels of oil. Ever since, the production in the county has gone down to an average of more than 1,440,685 barrels of oil. However, in 2013, this figure went up slightly with a production of over 2,881,370 barrels of oil. For this year, the production went down to just over 1,440,685 barrels again. Since the start of the county’s operations, around 530 operators have gone into its territory. The top leases include the Dansby Heirs Well No. 1 Re Oil Release #025896; Falcon Oil Lease #026935; Hamilton Oil Lease #004060; Hawk Unit Oil Lease #004018; and Jack Irick Unit Oil Lease #026363. Permit approval in Bandera County is relatively low compared to other counties. In 2001, the peak of the approvals was recorded over 3 permits for the entire year. The lowest approval rate in the county is recorded at 1 permit approval in the years 1991, 1994, 2005, 2006, and 2009. The last recorded permit approvals occurred in 2011 with 3 permits approved. These permits were filed by the Whiting Oil and Gas Corporation. Among the companies that filed the most number of permits in the county are Gunn Oil Company and Devon SFS, Operating, Inc.
Oil production in the county started strong in 1993 when more than 2,925 barrels of oil were produced. This production spiked in the year 2000 when more than 4.875 barrels of oil were produced. The rest of the years that followed recorded an average production of approximately 1,950 barrels a year. In its entire history, only 20 operators have gone into its territory. The top lease in the county is the Gallant, James A. Oil Lease #013973. Baylor County started out strong when it started its operations in 1990 when 30 permits were approved. It experienced its peak in permit approvals in 1993 when more than 30 permits were approved. Its lowest approval rate occurred in 2002 when less than 5 permits were approved. In 2014, a little over 10 permits were approved. Of the 28 permits filed in this year, 14 were approved and 14 were denied. These permits were filed by the Wells Oilfield Services, Inc., Clark John M. Inc., and Century Exploration Res, LLC among others. The same trend occurred in terms of the county’s oil production. It started strong in 1994 when it produced over 231,325 barrels of oil for that year alone. From then, however, it went on a downward slope towards the present. In 2014, the recorded production was just a little over 138,795. In its entire history, some 427 operators have gone into its territory. Top leases in the county include the Bormarton Pool Unit Oil Lease #010383, Buckalew Oil Lease #032883, Furr Mineral Trust Oil Lease #032883, Green, F.C. –D- Oil Lease #001433, and Harmel Oil Lease #030571. Permit approval only ballooned in the recent years until it peaked in 2011 when Andrews County approved more than 1375 permits for that year alone. This year, however, the number of permits approved only reached a little over 275. The companies that filed the most number of permits in the county were Unitex Oil & Gas, L.L.C. ; Ring Energy, Inc.; and Conocophillips Company. 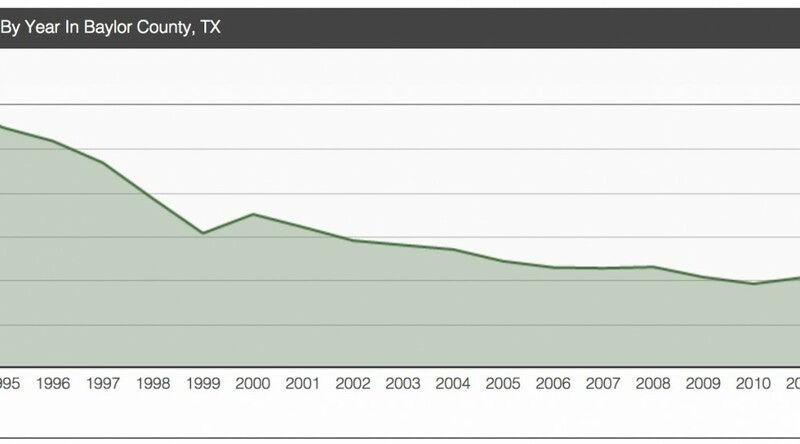 Oil production in the county went on a steady decline from 1991to 2009. In 2010, production started going up until finally reaching its peak in 2013 with a production of over 3,534,5525 barrels. The highest production in the county occurred in 1993 when the county produced above and beyond 3,5345,525 barrels. This year, just a little under 21,207,315 has been produced. Since it started operations, some 1,175 operators have gone into Andrews County territory. The top leases in the county include Cross Bar Ranch Oil Lease #038014; Fullerton Clearfork Unit Oil Lease #001770; Goldsmith Andector Unit Oil Lease #021193; Mabee 240B Oil Lease #039879; and Mabee Unit Oil Lease #004010. 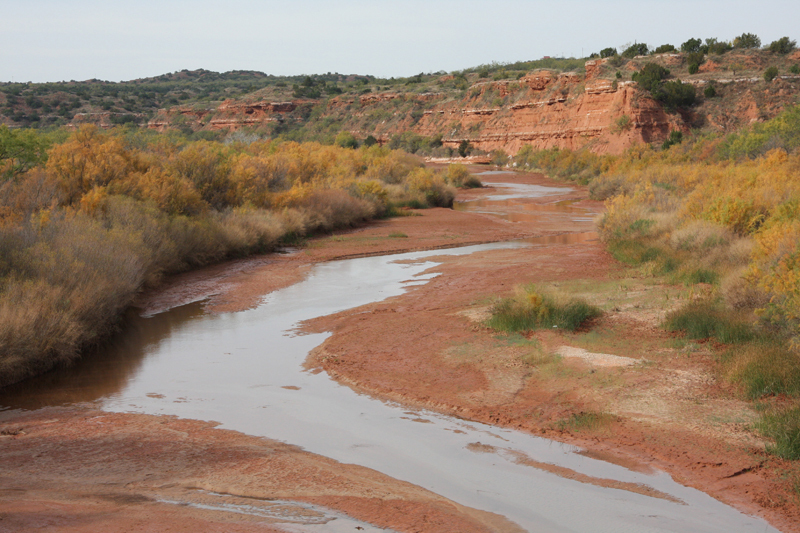 Dickens County has had a lot of fluctuations in its permit approvals since the 1990s. It hit its highest level in 2003 when it approved more than 75 permits. Its lowest point is at present with only 11 permits approved. In recent years, the companies that filed the most number of permits were Halliburton Operating Company, Schalk Oil Company, Inc, and Buck Wheat Reseouces, L.P. The county experienced its highest production of oil in 2004 when it produced over 1,422,350 barrels of oil for that year alone. Its lowest production, on the other hand is at present as it has only produced a little over 284,470 barrels of oil. Since the start of its operations, the county has had 162 operators come into its territory. The current top leases in the county are Bell Oil Lease #068356; Bell “A” Oil Lease #068357; Hill-Neal Unit Oil Lease #068637; Jones A Oil Lease #069467; and Kathi Oil Lease #069914. 007937 ADKINS, R. L. CORP.
196805 D. & H. SERVICES INC.
235895 DURANGO OPERATING CO., INC.
266310 FERGUSON OIL & GAS CO., INC.
Texas has produced great quantities of oil in the past decade with an average of some 500,000,000 barrels of oil yearly according to the Energy Information Administration of the US Department of Energy. This was a product of the crude oil production reported by the operators to the Railroad Commission of Texas annually every 15th of February. In the last 6 years, 2014 has brought in the highest crude oil production on a month-on-month basis. For the month of January, it produced 69,903,539. For the month of February, it produced some 64,058,704 barrels. For March, it produced 71,589,704 barrels. For April, it produced, 70,506,631 barrels. For May, it produced 72,299,887 barrels. In June, it produced 70,108,403 barrels. 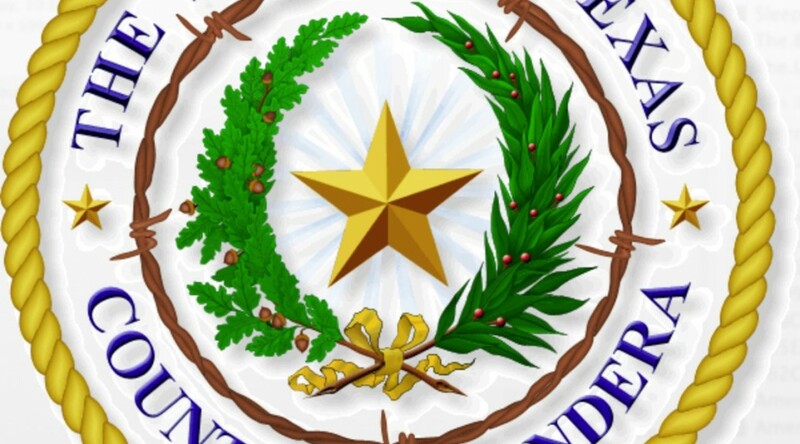 At last measure in July, it was estimated that Texas produced 69,573,013 barrels of oil. In 2013, a total of 703,119 barrels were produced with a daily average of 1,926,000 barrels. It had some 179,797 wells producing these. Each of these well produced an average of 10.71 barrels a day. There was a 32.19% change in production in comparison to the 533,141,000 barrels of oil produced in 2012. In recent history, the 2013 production of oil has been the highest recorded. The last highest yearly production was recorded in 1972 when 1,263,412 barrels of oil were produced. This was the highest production since well drilling began in Texas in 1935. of February. – = No Data Reported; — = Not Applicable; NA = Not Available; W = Withheld to avoid disclosure of individual company data.